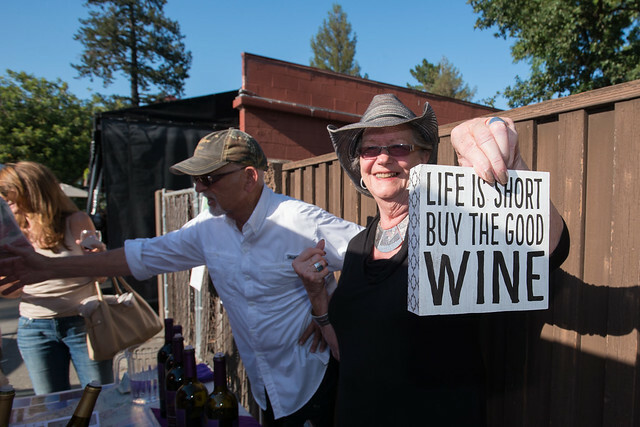 The 8th annual Downtown Larkspur Wine Stroll is July 20, 2019. The Larkspur Chamber of Commerce hosts the 8th annual Larkspur Wine stroll on Saturday, July 20, 2019 from 5pm – 8pm. This event pairs local wineries and stores along Magnolia Avenue in downtown Larkspur's Historic District for an evening of wine tasting, socializing and shopping. The Wine Stroll route focuses on the block of Magnolia Avenue between King Street and Madrone; all host locations are Chamber of Commerce members. Tickets are $20 and include a commemorative wine glass; please look for the ticket sales tables at the event. Attendees must be 21 to purchase a ticket to sample wine, but the entire family is welcome to attend. Ticket proceeds support the Larkspur Chamber of Commerce. 2018 Tasting Stops - visit again soon for the 2019 participants!